Stephen Fletcher is an agent with British Intelligence. A tall man described as having a "strong, tanned face, black hair, and steel blue eyes which belied his toughness", Fletcher is in his early thirties. Several of the past years had been as an agent, concentrating his efforts in the southern Balkans, Greece, and Turkey. Operating out of Athens, his familiarity with the region allows him to move freely and blend in easily. Less easy are regions such as the Levant and North Africa but he knows enough to cope anywhere. Very little of Fletcher's background or his personal life is revealed in the short series but what is shown is his determination to come through regardless of the obstacles. Whether it is going undercover deep inside the Iron Curtain with no one to have his back or in the alleyways of Cairo where those behind you could just as likely stab you there as help you, he knows that he has to rely only on himself and he is comfortable at doing that. What is known is that Fletcher is good with a gun and a knife and pretty capable of handling himself in a fist fight. He is not afraid of charging into a dark alley at night or entering a bar filled with low lifes or going into a Warsaw Pact country pretending to be someone else. Fear is not a stranger to him but Fletcher is apt to ignore it while he gets the job done. 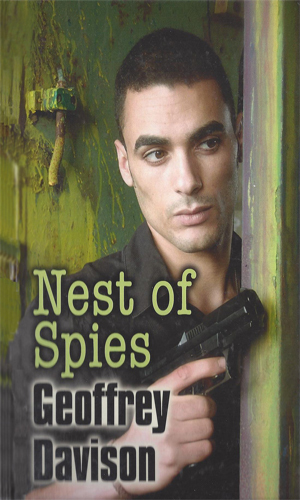 Note: A book by the name Nest Of Spies, published in 1968, may come between the two books listed in the Fletcher series but I have not yet verified it. British agent Stephen Fletcher is ordered to take the place of a slain KGB agent, a man killed on a train going through Bulgaria to help the substitution. The plan is to have Fletcher join other KGB agents heading to London. He must use the cover to find out who is a British traitor. As the British government works to bring a lasting truce between Greece and Turkey, Stephen Fletcher is sent to that region to find out who is working hard to disrupt their efforts. Stephen Fletcher for MI-6 works closely with a CIA agent to go against a major Turkish arms dealer in a case that involves treacherous Americans and deadly Soviet agents and a woman who was a brilliant as she was beautiful. 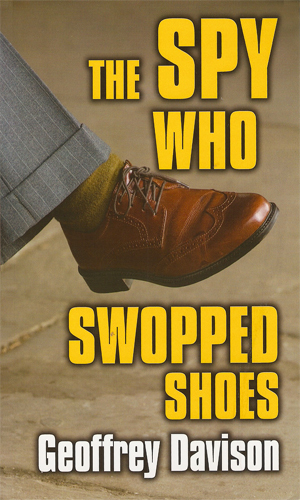 The at-least two book series about Stephen Fletcher, as there may be a third, has two quite different feels to it, depending on the book. The first, wherein Fletcher must do behind the Iron Curtain impersonating a Communist agent, is quite nerveracking and tense as would definitely fit the situation where the operative is all by himself surrounded by people who would kill him or worse should he be caught. The atmosphere is thick and compelling. 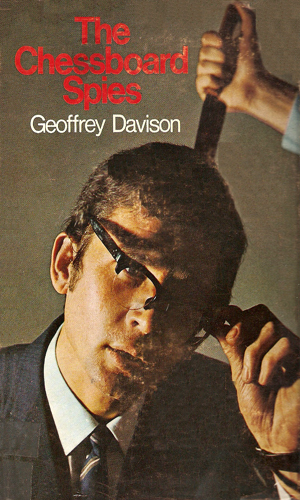 The second book, however, is far more open-air feeling as Fletcher, still relying on himself, at least knows much of the territory and is on far firmer ground. Both books are interesting and worth reading but the first will leave you looking over your shoulder and wondering if the person seated next to you suspects anything and that is a fun feeling to have from reading a book - unless you really have something to hide.